Wuxi Vocational Institute of Commerce, one of the initiators of the Cambodian school, will take the lead, with Jiangsu University, Jiangsu Normal University, Jiangsu Agri-Animal Husbandry Vocational College and Jiangxi Vocational Technical College of Industry Trade supporting them through their respective roles. The five sides will share common interests in the Cambodian school's academic pattern, talent cultivation, teaching facilities, faculty development, and scientific breakthroughs. They have agreed to bring their own strengths and blend them together for the better development of the school. 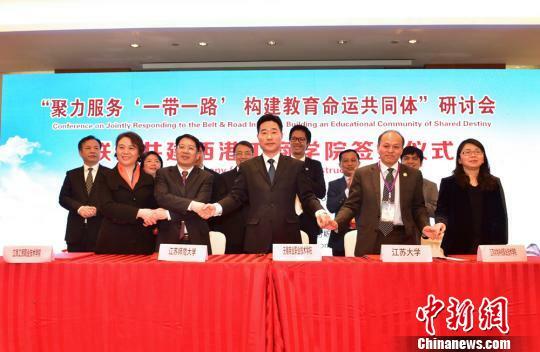 "I hope the seminar will work as a stepping stone for the school to advance as a model of China-Cambodia joint educational projects and contribute more to the two countries' overall development," said Yang Jianxin, Party secretary of Wuxi Vocational Institute of Commerce. More than 100 Chinese and Cambodian experts and scholars with expertise in government-enterprise-university cooperation attended the seminar and shared their visions. 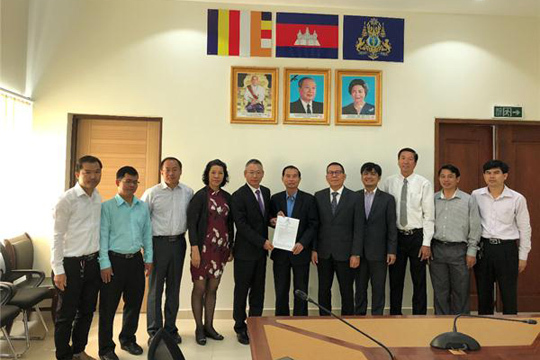 The Sihanoukville Institute of Business and Technology was approved by the Cambodian Council of Ministers last October. It's the first Chinese university in the area and it has found joint support from the Wuxi-based garment giant Hodo Group and Wuxi Vocational Institute of Commerce. The agreement to launch such a school was first reached at a meeting between Chinese Premier Li Keqiang and Cambodian Prime Minister Hun Sen in January 2018.